Author: Kelly Nicholls, Advocacy and Public Affairs Manager, MSF Australia. THE US government is trying to slyly push restrictive intellectual property protections through the Trans Pacific Partnership negotiation rounds that are currently underway in Singapore. If they succeed, this will be the most damaging trade agreement ever for access to essential medicines in developing countries. For the patients around the globe who organisations like Medecins Sans Frontieres treat, this will have disastrous consequences. 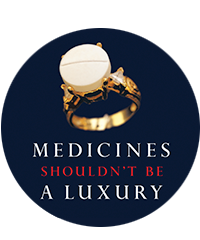 Too many people are already dying needlessly because the medicines they need are too expensive or they do not exist, and these aggressive proposals will only cause further harm and keep prices far out of reach for millions. Australia must demand that public health needs be prioritised over profit. Failing to do so would make the Australian government complicit with US proposals and their devastating outcomes. The TPP agreement is likely to be one of the largest trade pacts ever, encompassing 11 countries today and potentially open to all 21 Asia-Pacific Economic Cooperation nations. Thailand is in the process of joining and Japan and the Philippines are actively considering. Additional countries will be allowed to join later - but probably without the ability to change the text. The TPP has also been billed as a model for future trade agreements across the globe and thus could set a dangerous precedent. Negotiations have been held behind closed doors, but leaked documents revealed that the US was pushing restrictive intellectual property and investment provisions that would make it easier for companies to get patents, keep them longer, while making it difficult for people to oppose them. This is a dangerous principle that would push the price of medicine out of reach for those most in need. Negotiating countries, including Australia, initially rejected the US government's intellectual property proposals. The US said it would take into account these concerns and present a fresh proposal. However, they have failed to do so and medicines have not been debated again, now for over a year. With the rush to finalise the agreement by the end of the year, access to medicines issues may be forced to be included in the final agreement without substantive debate through a political decision. This would be the worst possible outcome for public health as the US proposals could enter unchanged. US proposals would require the further patenting of modifications of old medicines, even in the absence of therapeutic benefits. They would also require patenting of surgical, therapeutic and diagnostic methods which could increase medical liability and the cost of medical practice and thus reduce access to medical procedures. It would prohibit pre-grant opposition to patents. This would make it much more difficult and costly for local organisations to challenge patents and drugs protected by patents even if the patents were invalid. It would also extend patents past the current 20-year norm and prohibit national drug regulatory authorities from approving generic medicine until patents have expired. Finally it would prevent drug safety regulators from using existing clinical data to give market approval to generic or biosimilar drugs. These are all great wins for big pharmaceutical companies. But they come at the cost of public health. The TPP proposal also includes investor-state investment dispute provisions that would allow corporations to file suit against national governments if they perceived that a particular law negatively affected their investment or anticipated profits. In the case of access to medicines, intellectual property is explicitly mentioned as covered by the investment chapter and therefore pharmaceutical firms could use TPP investor-state dispute provisions to overturn national patent (and other IP) laws that may be designed to protect public health. This is in fact already happening in Canada, where Eli Lilly is threatening to sue the government of Canada under similar rules included under NAFTA because Canada rejected a drug patent considering it did not adequately meet the criteria for patentability. In a country like Australia these concerns can appear abstract. But in the places where Medecins Sans Frontieres works, lack of access to medicines is a daily reality. It's tragic to see a person who has a deadly, yet curable disease unable to afford treatment. In the majority of countries where we work, people cannot afford insurance and are forced to pay for healthcare out of their own pocket. Many of these people live off a minimum wage - if they're lucky enough to have a job. Often they support large families. The cure or treatment for their disease exists. But it is monopoly owned and protected by patents and thus priced out of range for those most in need. The reality is stark. Unless their situation changes, they will likely die. That is the reality of the proposals that the US government is trying to sneak through the back door. They will cost lives and many of them. The Australian government is in a stronger negotiation position than many other parties to the agreement, specially developing countries such as Vietnam, Brunei, Peru and Thailand. Australia must stand up to the US government's demands. But Australia should not just consider domestic interests, but act as a champion for the developing countries who are party to the agreement. Medicine is a matter of life and death. We must do everything we can do protect and promote all people's access to life-saving medicine. This article originally appeared in The Australian on 6 March 2013.